Both coding and development can turn out to be challenging tasks. Lots of efforts and time goes into writing code and developing for either front-end or back-end. Especially, coding haunts professionals, as it not only turns out to be complicated and boring at times. But, even a minor mistake or error can make all your efforts and hours of work go in vain. Luckily, today many different frameworks can be found online that helps make coding an easy process. 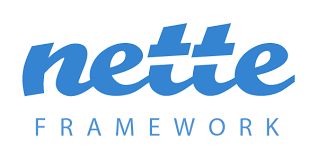 In fact, the frameworks help in writing code quickly. PHP is considered as a highly versatile platform for programmers, as it helps in coding of any sort of web pages. What’s more, building applications with PHP gives you the ability to use its frameworks that save you from re-inventing the wheel, as it allows re-use of code and so on. Laravel remains to be the most preferred PHP frameworks among developers, as it comes shipped with all of the essential features and capabilities that makes working with PHP fun. It supports composer packages that help make dependency management easier. Provides simple and easy-to-use interface to authenticate users. Makes the process of sending emails via apps a hassle-free task and more. It’s a lightweight PHP framework based on the MVC pattern that helps develop applications with blazing fast speed. You can become familiar with this framework in a matter of few minutes. Help users write their own custom code. It comes with a simple and detailed tutorials, extensive documentation and several API references. Making use of naming convention. Offers easy access to the database. This is another popular open source PHP web development framework that help programmers write less code – that is easy to read. It basically comprises of a set of decoupled as well as reusable components of PHP, available for download in the official Git repository. Overcome security holes like Cross-Site Scripting (XSS), session hijacking, Cross-Site Request Forgery (CSRF), etc. It supports advanced technologies which includes MVC, DRY, AJAX, etc. offers plenty of adds-ons to be used in your applications. It contains an easy learning curve, and helps build apps in no time. Symfony provides a stable environment to develop websites as well as web apps. It contains everything needed to develop things using the best practices, such as reusable components, speed, and much more. It is decoupled well, and thus make unit testing an easy process. Plus, it even lets you perform functional and behavioral tests. It supports the usage of Dependency Injection container. Comes integrated with an amazing debug toolbar and a built-in profiler. This PHP framework is primarily designed for developers searching for a simple yet elegant toolkit that helps in building web applications fully-loaded with rich features. Allows users to use their own choice of codes as well as naming conventions. It encourages users to use MVC, but don’t force them to use this framework. 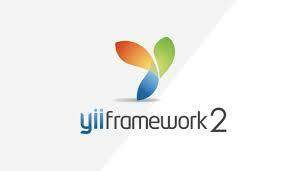 Yii 2.0 is a pure OOP-based PHP framework is easy to install and configure. It offers many great tools, and most importantly, provides a “web-based code scaffolding” tool called “Gii” that helps in creating code templates quickly for modules, extensions, forms, etc. It utilizes modern technologies which include late static binding, anonymous functions and a few others. It is extensible, giving you the ability to tailor the framework based on your needs. It helps make the task of creating unit, functional and acceptance tests a lot more simplified. If you want to carry out development work in a better and faster manner, then using a framework can prove a useful toolkit for you. Most importantly, frameworks help save a lot of your time – that is otherwise spent – in writing the same piece of code repetitively. If you’re a PHP developer or programmer, then there are plenty of PHP frameworks worth considering. However, reading this post will help you learn about 6 of the trending PHP frameworks of 2015. Author Bio: Juana Steves is an Offshore PHP Developer for Xicom Technologies, a leading php web development company. She loves sharing latest information on android, Java and php technology.